Marx, Science, 235, 529-531 (1985). 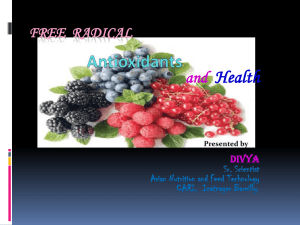 • What are oxidants or ROS, types, sources, and activities? 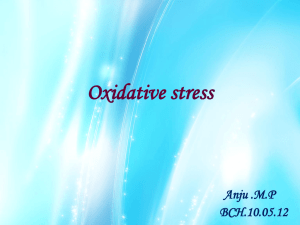 chemical basis of oxidative damage! 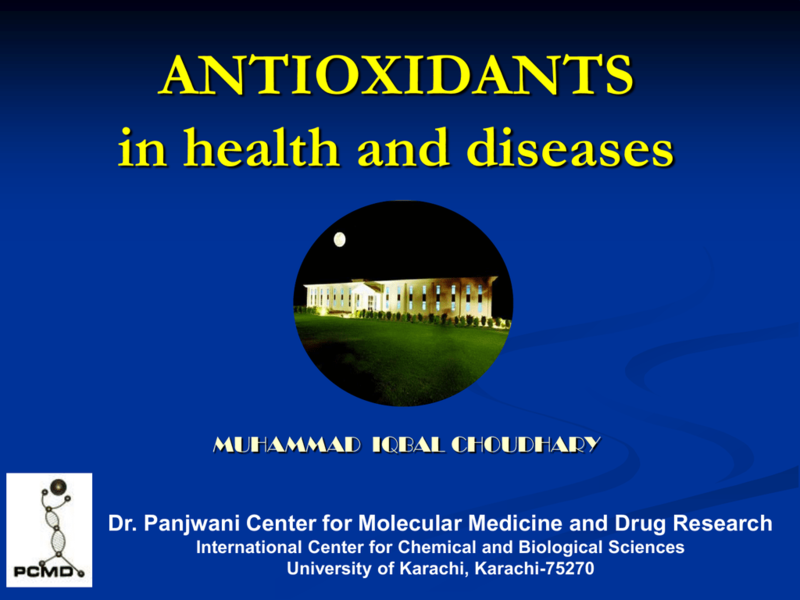 • What are antioxidants, types, sources and activities? Over 7,000,000 Web pages (Jan.
• Combination of substrate with oxygen. enzymatic catalysis and is a precursor for metalcatalyzed •OH formation. dismutation of •O2- or by direct reduction of O2. reaction and decomposition of peroxynitrite. components such as lipids and nucleobases. 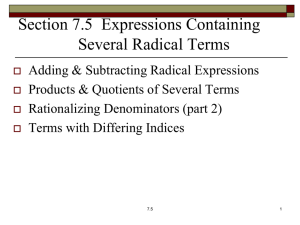 double bonds or hydrogen abstraction. 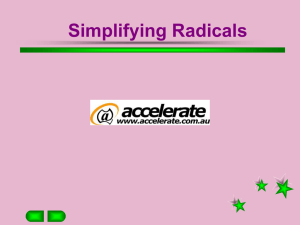 Formed in a rapid reaction between •O2- and NO•. hydroxyl radical and nitrogen dioxide. corroding cell membranes and killing cells outright. all individuals, healthy as well as sick. 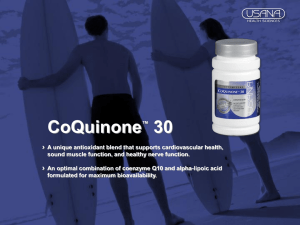 increase the level of oxidative stress. • Lipids are highly prone to get oxidized. 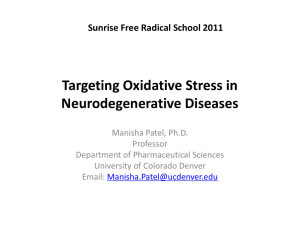 and peroxidase to control lipid peroxidation. 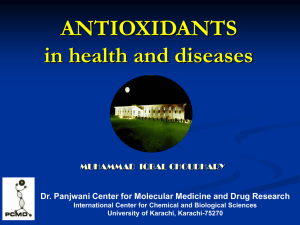 • Knockout animals (which can not produce antioxidant enzymes), generally do not survive. • It involves accumulation of macrophages in the arterial wall. 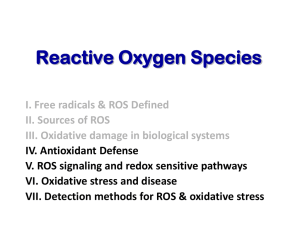 • ROS can lead to platelet activation and thrombosis formation. • Ortho- and meta-tyrosines from phenylalanine. the hydroxyl radical via the Fenton reaction. biomarkers of damage to DNA molecule. growth which results in cancer. it, thus reducing its capacity to damage. 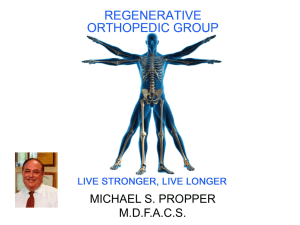 damage and functional degeneration (aging). body tissues from environmental pollutants. most active form in humans. eliminate all the ROS, but to strike a healthy balance. develop which may cause chronic diseases. 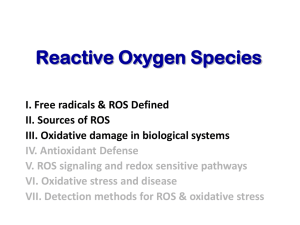 reactive compounds and prevent adverse effects. 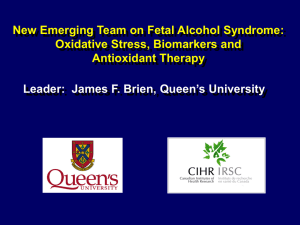 • In vivo CCl4 (Carbon tetrachloride) hepatoxicity assay. • More questions than answers!!!! conventional double blind placebo trials. Raise questions to old believes?